Take your mark, get set ...! 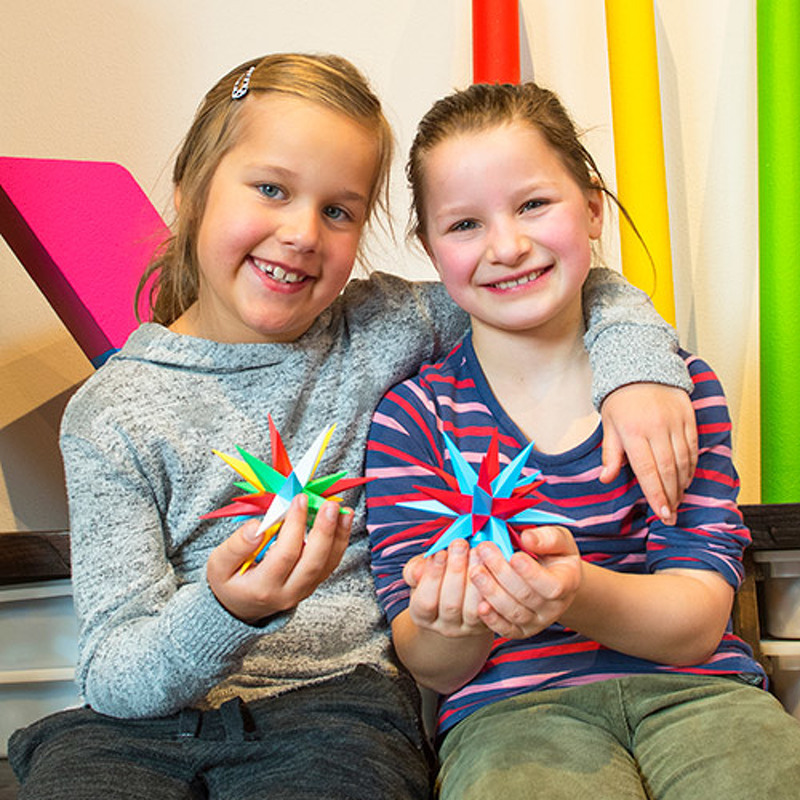 Enjoy exciting hours at Herrnhuter Sterne Manufactur with our two “Sternekindern” Emmi and Jonas. 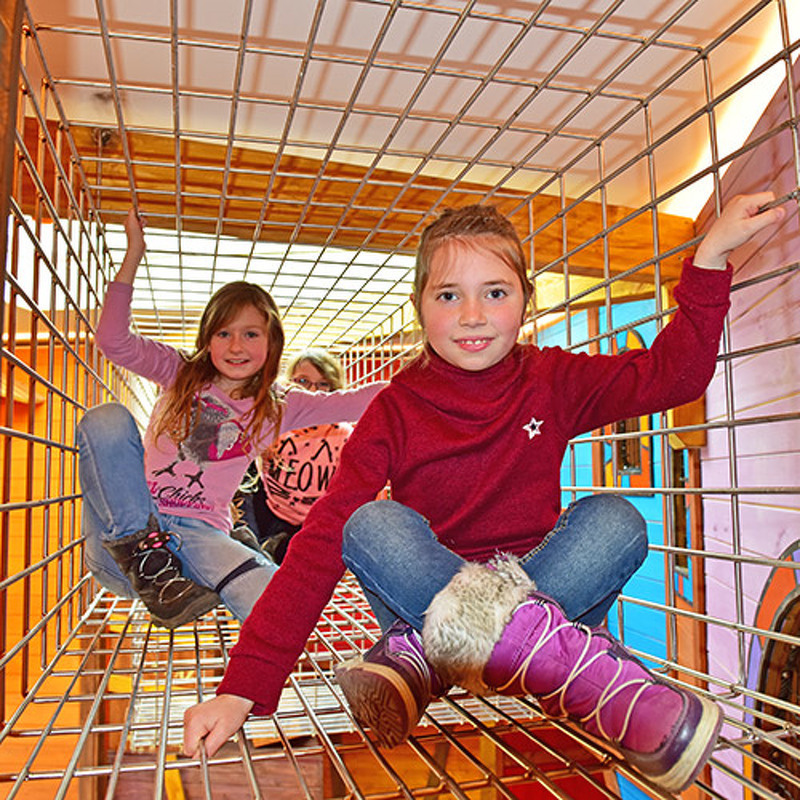 You can climb, slide and make discoveries in our indoor playground, be creative and design stars yourselves in the Crafts Workshop or take a look at the Demonstration Workshop and an excursion to Herrnhut – there a lots of fun things for you here! 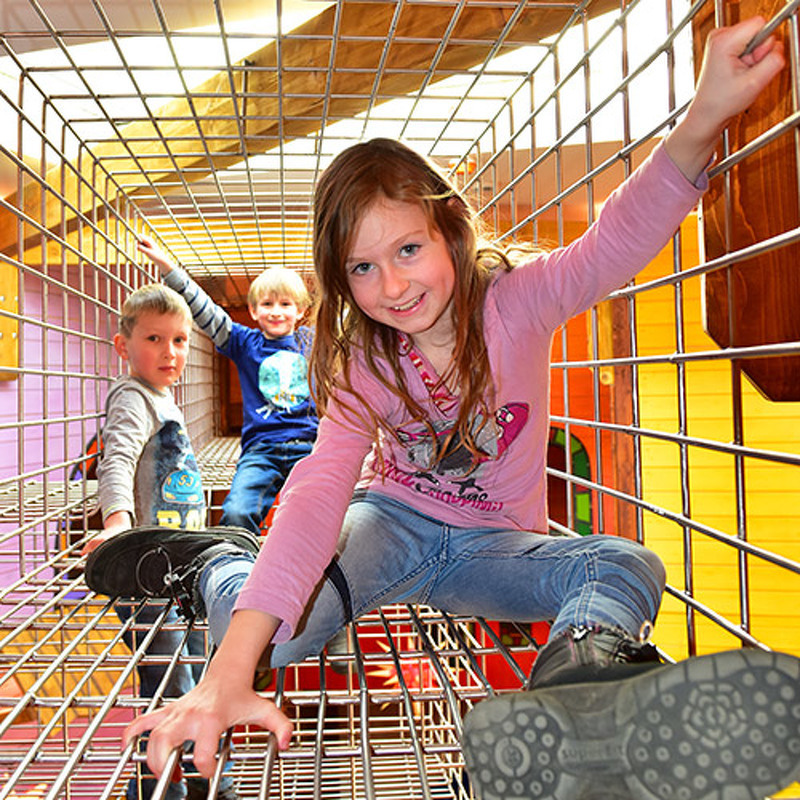 You will celebrate your colourful birthday party with Emmi and Jonas. 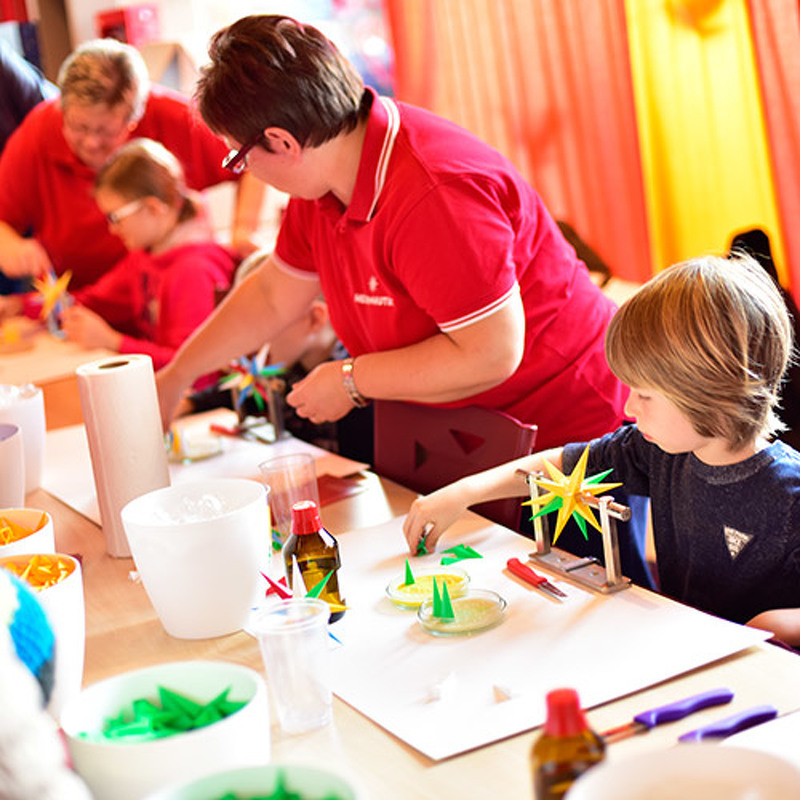 In the Demonstration Workshop we will show you how Herrnhuter Sterne are made, and then you and your guests can take a turn. Make a Herrnhuter Stern yourself! 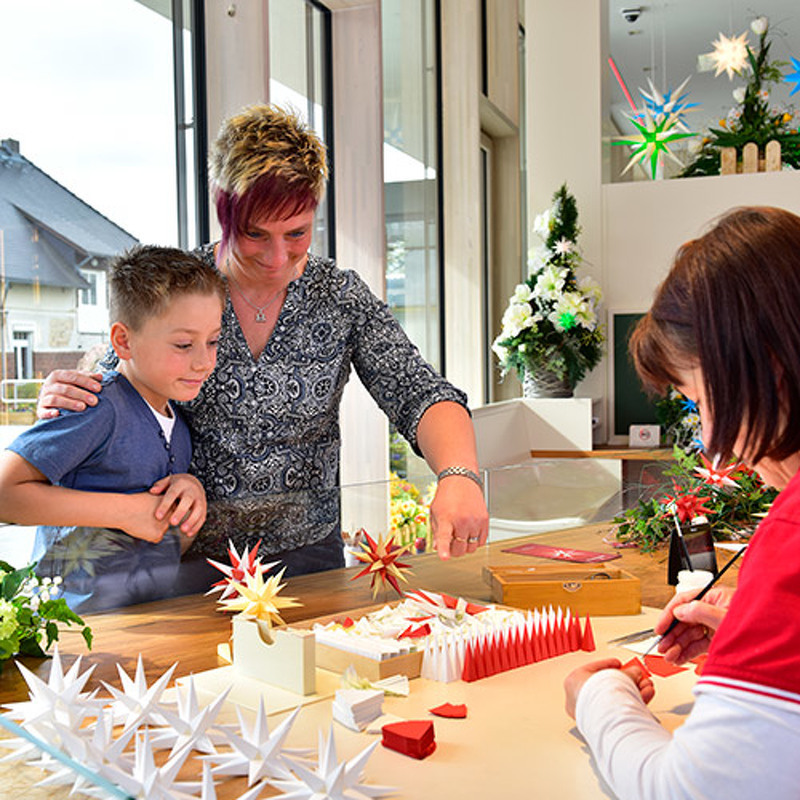 You will visit us at Herrnhuter Sterne Manufactur, look over the shoulder of the employees as they make Herrnhuter Sterne in the Demonstration Workshop and then you can make a Herrnhuter Stern of your very own. 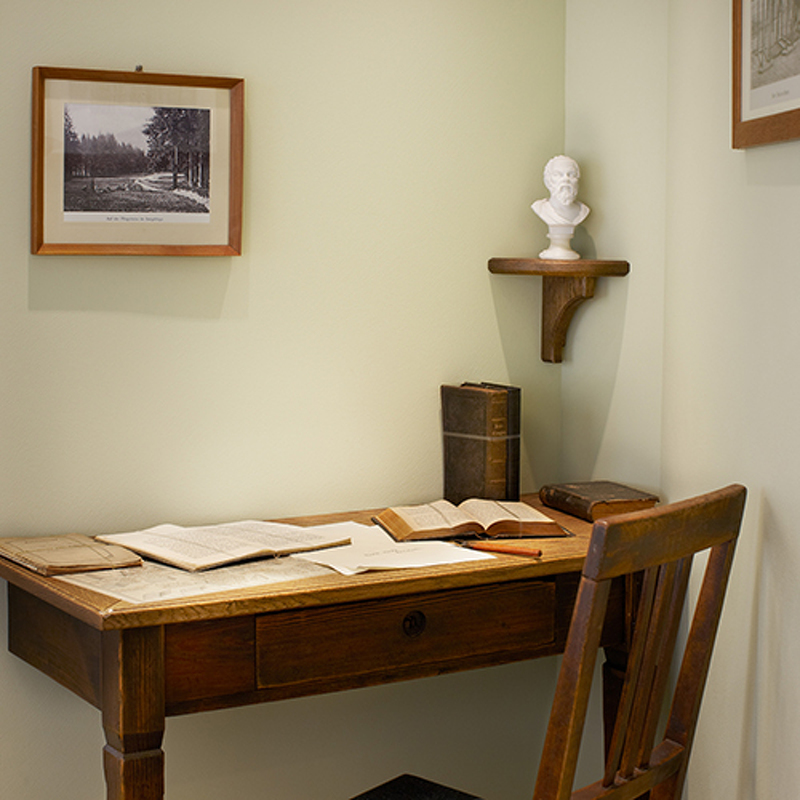 You will go on a tour of discovery through Herrnhut and listen to exciting stories from the world of the Moravian Church and Herrnhuter Sterne. 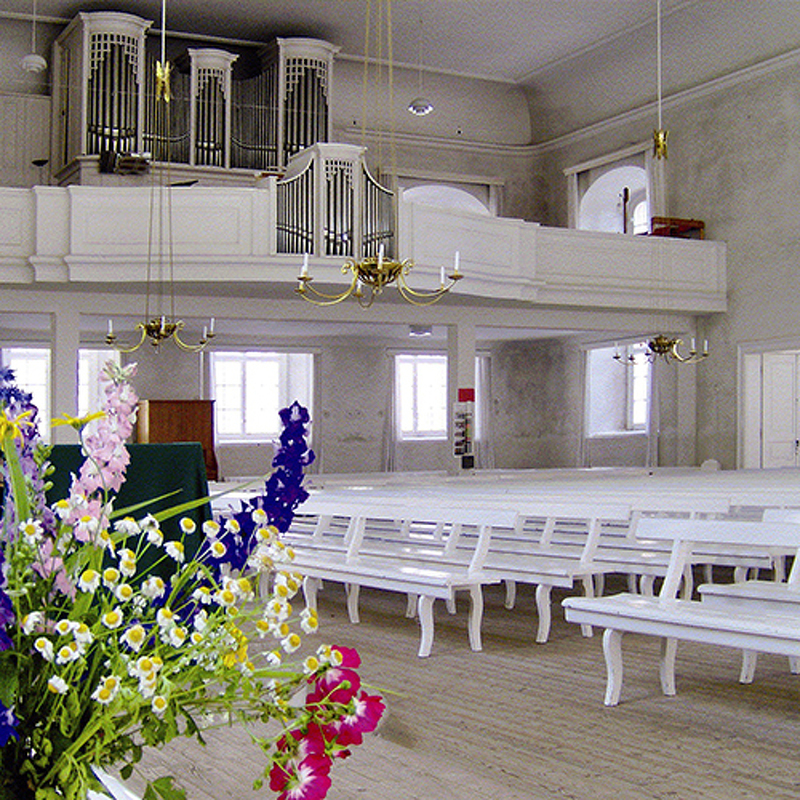 Church pew whisperings in the Moravian Church hall – why is the hall of the Moravian Church white? Offer no. 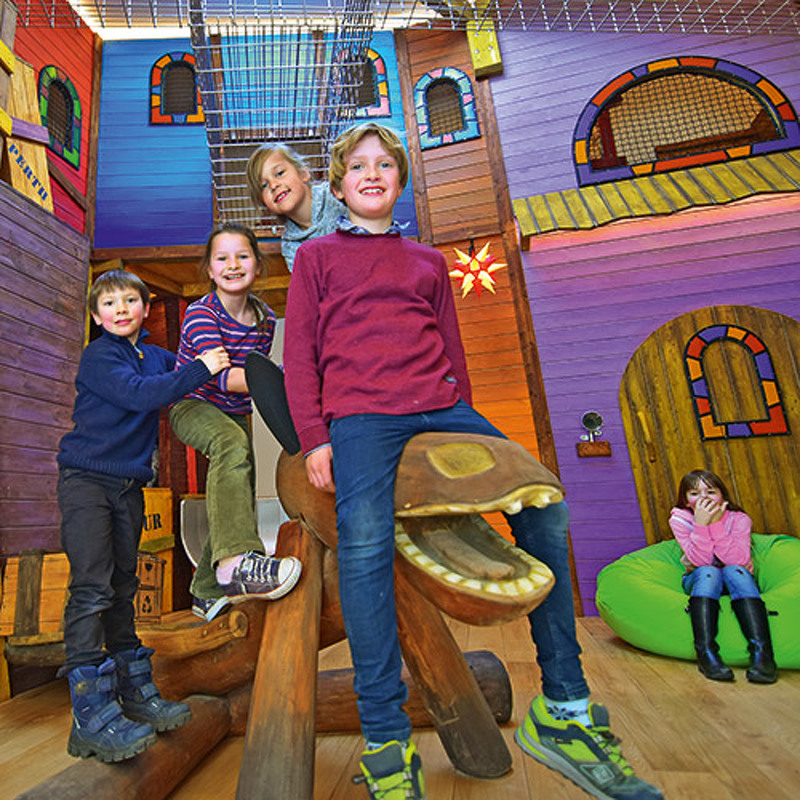 1: Play your way through the world. 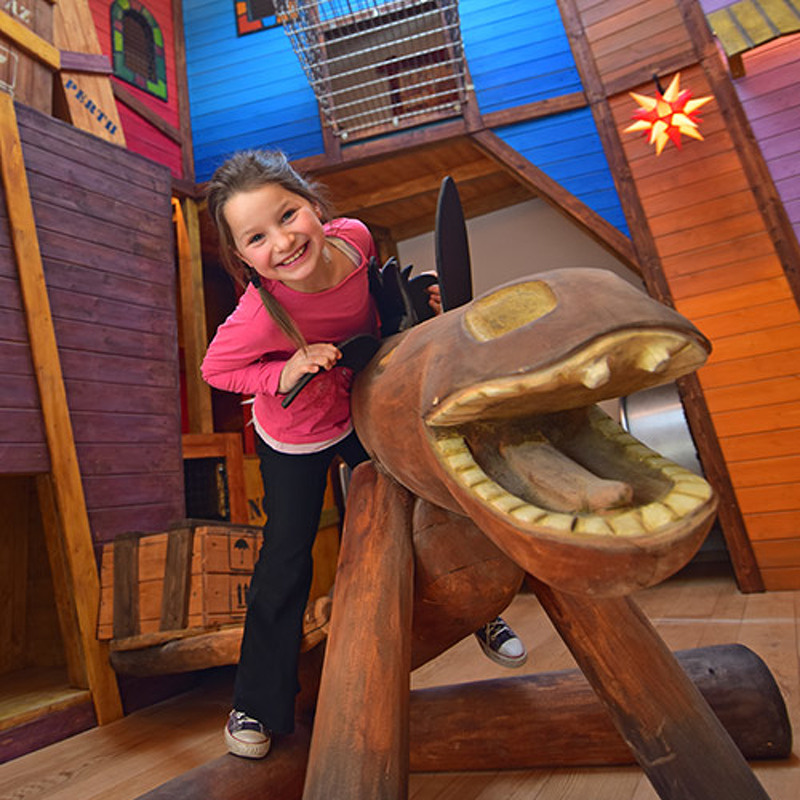 Discover the museum exhibition through play. Everything revolves around paper. 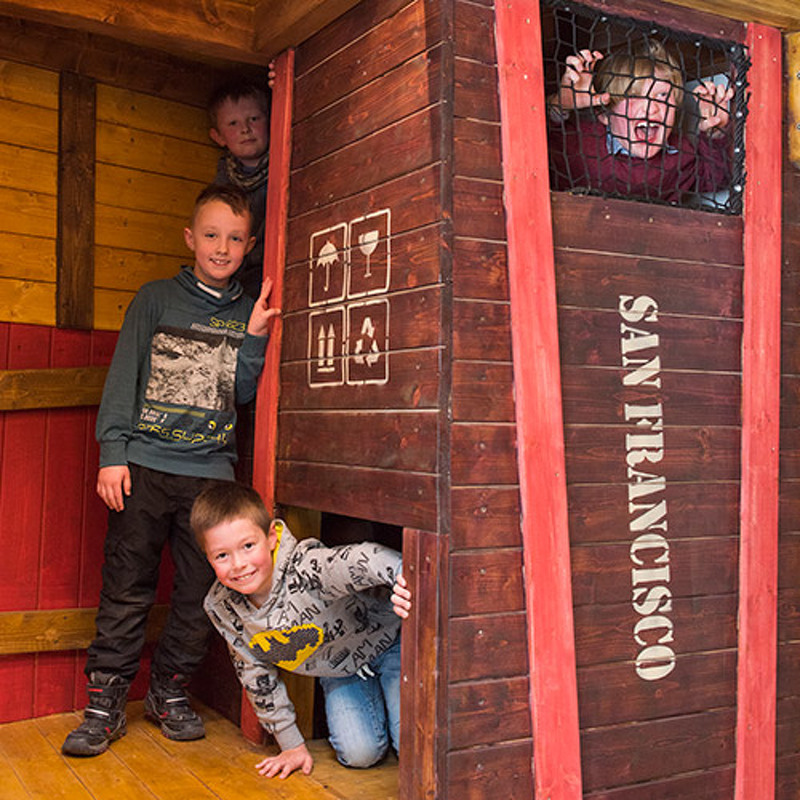 You will start with an exciting guided tour through the forest and take a close look at what the forester does. 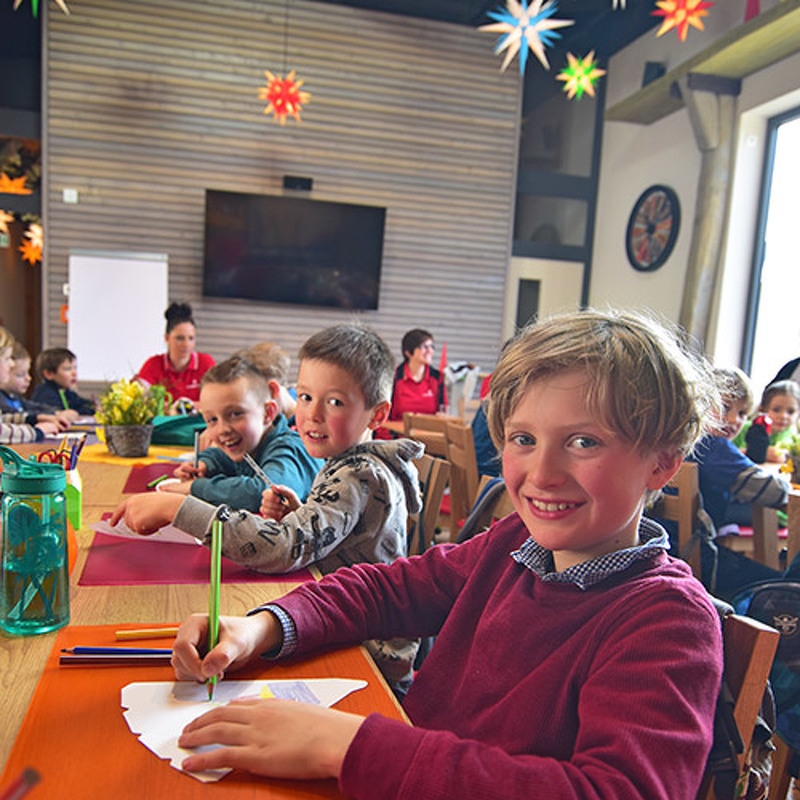 Then, at Herrnhuter Sterne Manufactur, you will learn how paper is made from wood, look over the shoulders of the employees as they make paper stars and make your own Herrnhut paste paper. Guided tour through Herrnhut Forest – where does paper come from? Herrnhuter Sternemanufaktur – how is paper made from wood? 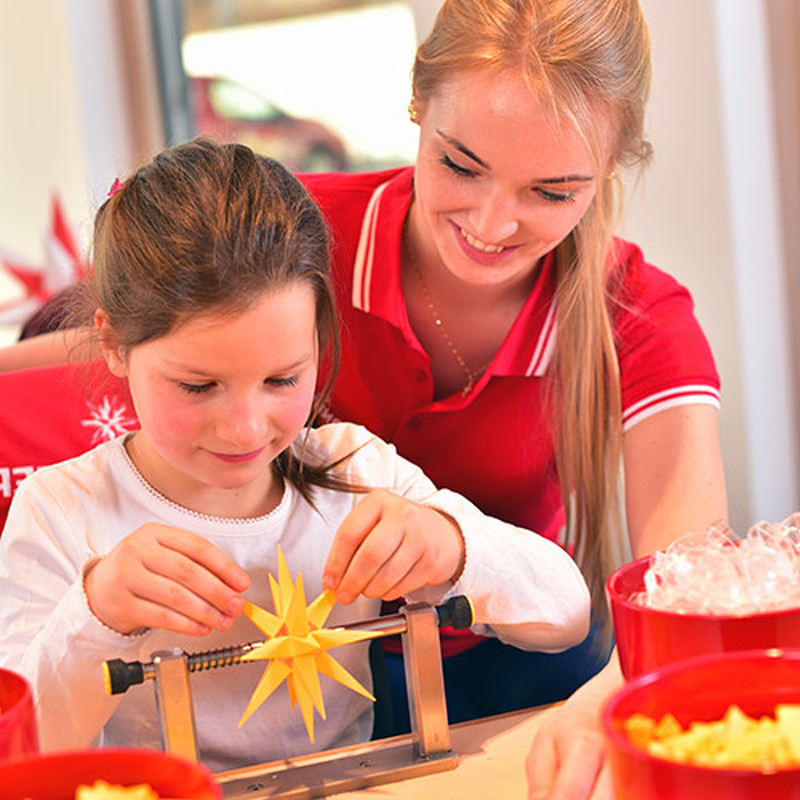 You will visit us at Herrnhuter Sterne Manufactur, look over the shoulders of the employees as they made Herrnhuter Sterne in the Demonstration Workshop and then you can make a Herrnhuter Star of your very own. And of course, Father Christmas will stop by, too. You will visit us at Herrnhuter Sterne Manufactur and look over the shoulders of the employees in the Demonstration Workshop. 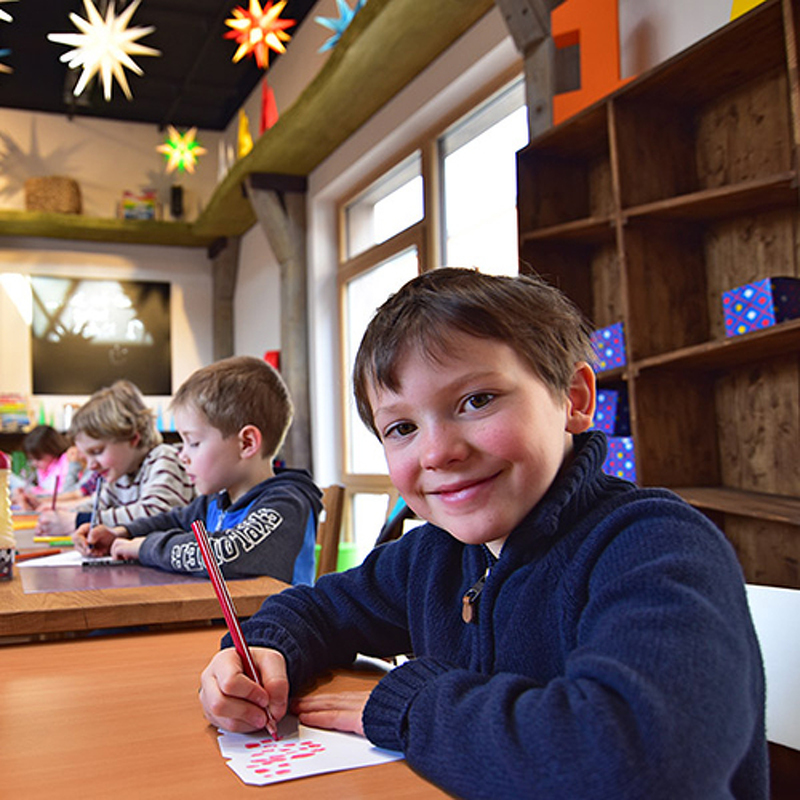 Then you can exercise your own creativity by making candles of your own in the Crafts Workshop.